Businesses at Sulphur Point are opposing a proposal which seeks to establish a long-term lease between council and Waikato University on a previously identified open space at northern Sulphur Point. 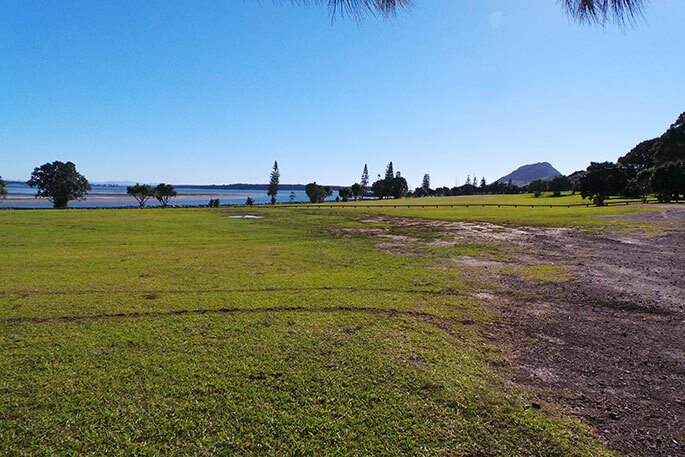 Tauranga Marina Society, Tauranga Powerboat and Yacht Club, and Tauranga Fishing Club are some of many who have identified their opposition to the lease, which will enable the university to develop a marine research and educational facility. The 5600m2 site is located at the entrance to the marina at Sulphur Point and is mainly undeveloped open space. It’s used for marine activities, occasionally events and overflow car and trailer parking, and is available for the public to access and use. Tauranga Marina Society manager Greg Prescott says the space being sought for lease by the university is not ideal. “It’s a piece of greenspace, it’s in the marina plan and it’s not big enough for what they want to do. Greg says if the lease goes ahead it will be a huge loss to all businesses and marine users at Sulphur Point. “This whole area is almost like the last piece of land available for marine. Everything down here is zoned marine – a marine research centre is not for marine use, it’s for tertiary use. “We have 130 trailers here and when they launch their boats they park their trailers on this space, as some of them don’t fit in a carpark. On top of this we’re also upgrading our marina which will mean we need that space to store equipment during the build. At the beginning of 2017 the University of Waikato approached Council with the wish to work collaboratively towards establishing an internationally sought after, multidisciplinary research and educational facility close to the city centre at Sulphur Point. Council identified one of the areas of open space at Northern Sulphur Point as the most feasible site for this significant economic development opportunity and carried out formal consultation from Monday, February 12 to Friday, March 9 2018. Greg describes this consultation process as ‘horribly flawed’ and ‘biased’ in favour of the university. “Especially when you look at the document they put out and how many times they mentioned Waikato University. “A question was put out in a different document afterwards asking ‘do you support the loss of greenspace’ and that was what should have been on that first document. Greg says Tauranga City Council's Economic Development & Investment Committee’s recent decision to support in principle the proposed long-term lease, is also disappointing. The committee is made up of eight elected members including Max Mason, Kelvin Clout, Steve Morris and Leanne Brown who have voted for the lease; and John Robson, Mayor Greg Brownless, Larry Baldock and Rick Curach who voted against. “Councillors haven’t listened to the 70 per cent of those who submitted and opposed this development,” says Greg. “What tipped it Waikato University’s way was that Max Mason voted for it and he’s the chairman, so essentially the vote goes in favour. TCC says the proposed research centre will be distinctive to New Zealand. “It will create the capacity to attract and host national and international collaborations and research programmes. “Significant direct economic benefits to the city are expected through growth in student, researcher and administrative staff numbers; new local and international research; development partnerships and conferences as well as the development of marine products and technologies. Tauranga Yacht and Powerboat club commodore Nick Wrinch says he thinks it’s a great idea, but agrees with Greg, the site is wrong. “We’re opposed to the development, we’re concerned about traffic, the huge infrastructure which will need to go in and its cost. “Water and sewerage need upgrading, the road is currently not very wide, there’s no pavement and one of the overriding issues for us, is once this land is lost it will be lost for recreational use forever. “It’s our belief it was always intended for recreational use and we feel it’s wrong to use this for any other purpose. 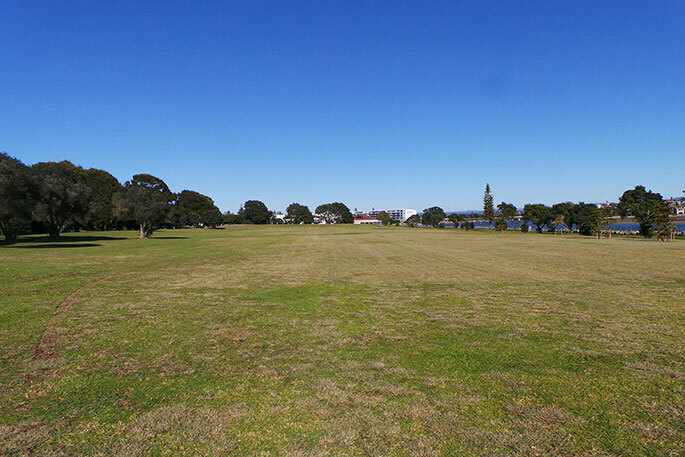 “Tauranga is a growing city and the demand for land for recreational use is growing the same way as any other type of land. The decision will be taken to the full Council meeting on 19 July for ratification.